Leah Penniman is a Black Kreyol educator, farmer/peyizan, author, and food justice activist from Soul Fire Farm in Grafton, NY. 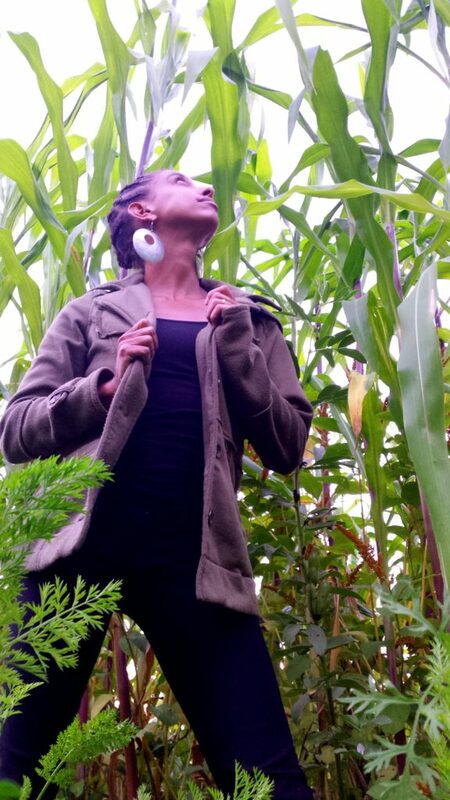 She co-founded Soul Fire Farm in 2011 with the mission to end racism in the food system and reclaim our ancestral connection to land. As co-Executive Director, Leah is part of a team that facilitates powerful food sovereignty programs – including farmer trainings for Black & Brown people, a subsidized farm food distribution program for people living under food apartheid, and domestic and international organizing toward equity in the food system. Leah holds an MA in Science Education and BA in Environmental Science and International Development from Clark University, and is a Manye (Queen Mother) in Vodun. Leah has been farming since 1996 and teaching since 2002. The work of Leah and Soul Fire Farm has been recognized by the Soros Racial Justice Fellowship, Fulbright Program, Omega Sustainability Leadership Award, Presidential Award for Science Teaching, NYS Health Emerging Innovator Awards, and Andrew Goodman Foundation, among others. Her book, Farming While Black: Soul Fire Farm’s Practical Guide to Liberation on the Land will hit shelves in November, 2018.